Phew, where has September gone? Just a few more days and I move into my new house—and new office!! 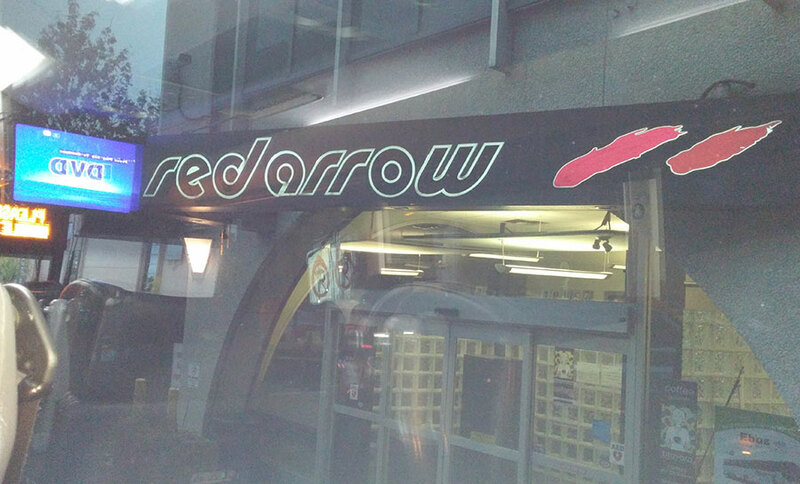 With the Greyhound putting the brakes on its service in the West, I chose the Red Arrow to take me up to Edmonton. On Friday morning—the day of the show—I arrived downtown at 7:30am to catch the 8am bus. Everything went smoothly! It’s almost like going on a plane. Comfy seats, in-bus movie, and there was even free drinks (hot and cold!) and snacks. Glad to know that the Red Arrow is an option for me. I ubered from the Red Arrow to the Expo grounds. It was a little tough getting to the right entrance, but eventually with some help from someone named Storm, we got my four suitcases inside and I got settled in. 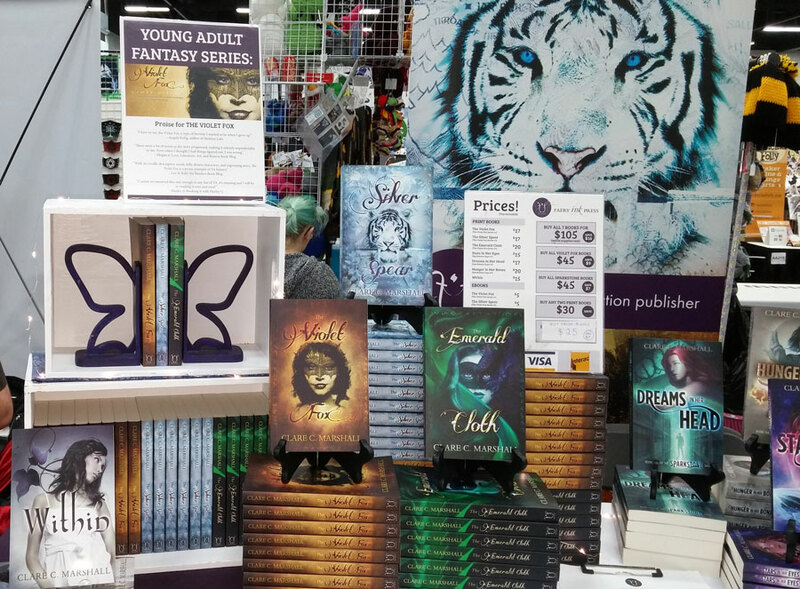 The boxes I’d put on the pallet were also at my table (thanks Sam!). I’ve got my set-up down to about 45 minutes now—I finished just in time for the earlybird show opening! Same set up as the previous two shows! Except the tables are 6ft here, not 8ft like in Saskatoon, so things were a little crowded. Still working on that second banner. I’m also looking into branded bags, clear and solid – this is an area I desperately need to improve. Don’t get me wrong, the bags from Crystal Clear Bags are just fine, as are the purple & blue ones I bought from Amazon. I think it completes the customer experience to hand them their signed books in a branded bag. A cherry on top! Hopefully I can get those in time for my Christmas shows. My table runner continues to attract attention and inform people exactly what kind of author-publisher I am! The only problem is keeping it CLEAN – since it’s mostly white! 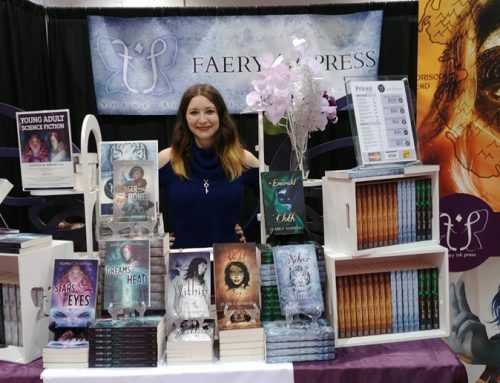 I had the best Edmonton Expo yet! As I had predicted (and hoped), my fourth year at the show brought me to a new level. I’m an established presence now—people recognize me and regulars return for sequels and new product. Many of my fellow artist alley vendors noticed a decline in their sales this year. That’s why I’m going to go into detail here about why I think mine went way up, and how you, the artist alley vendor, can weather the tumultuous storms of low or uninterested traffic. This is my fourth year doing the show. I firmly believe you have to do a show at least three times to grow your audience in a particular city. This is the case for book vendors/authors. The first year, you establish a base line and you connect with the audience. The second year, you get a few return customers, but your sales will still be mostly to new people. Third year, you’ll see more return customers. Fourth—at least for me—that’s where you get a strong 30-40% repeat customer base who are buying your new product or your sequels. If you don’t have anything new—or if you don’t have enough new product—the model stagnates. This of course, doesn’t take into account changes from the show itself or changes in city climate, politically, economically, or otherwise. It also assumes that you have a product people want to buy. I have built a repeat customer base. You can do a show multiple times and not see return customers. 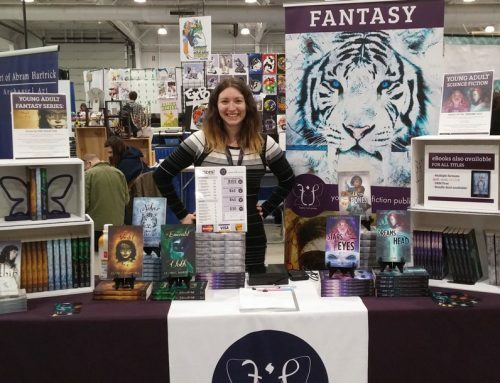 If that’s the case—if people aren’t returning for Book 2 and Book 3, then maybe your product isn’t converting and you need to re-evaluate your display, your look, and/or your selling strategy. In a convention setting, you’re fighting visual noise. You have to have an eye-catching, memorable look, or no-one will notice you. What changes are you willing to make to your display to make it more eye-catching? Good location. I got really lucky this year. I was in a high-trafficked area. 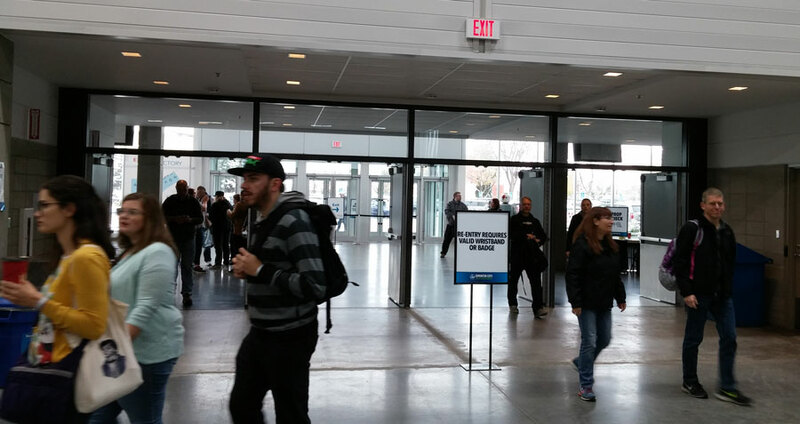 Many attendees stuck to the outer rims of the artist alley – and only some went into the aisles. This tracks with a trend I noticed in Toronto, at Fan Expo Canada. Sam, who secured a space with Greg at his endcap, noted attendees saying they refused to go down the aisles because it was too busy or too cramped. But even if I wasn’t in that spot—I feel I still would have done last year’s sales numbers, if not slightly more. Location is important at a show, yes. As you get bigger, as your brand evolves, you can weather a bad location better—assuming the show itself is large enough. Sometimes you have to work with what you’re given. New, in-demand product. People came specifically to buy The Emerald Cloth! Yay! I even had people asking for Darkness In Her Reach….soon, soon! Appropriate content. Nowadays, going to the local comic expo is a family affair. If your product is family-friendly, great – I think you’ll do well. Appropriate in this instance also means accessible. Does your product require a lot of explanation? Is it clear what you’re selling? If not—how can you clarify it, and bridge the gap between you and the customer? It’s easy to blame the show if you don’t reach your goals. And yes—Informa doesn’t have the best reputation when it comes to organization and execution. The panel rooms were too small to accommodate the audience for David Tennant and the lines were too close to the artists, obscuring view and traffic. That was on them, for sure. Otherwise, you sell to the traffic you DO have. You hustle assertively, confidently, and with respect. Not everyone wants to read your books, or buy your art. Not everyone has the money or the time or the interest. But someone does. And where there is one, there is another, and another and another. And if there’s enough of your target audience in one place, you can make money. Maybe you think that’s easy for me to say, because I did well. 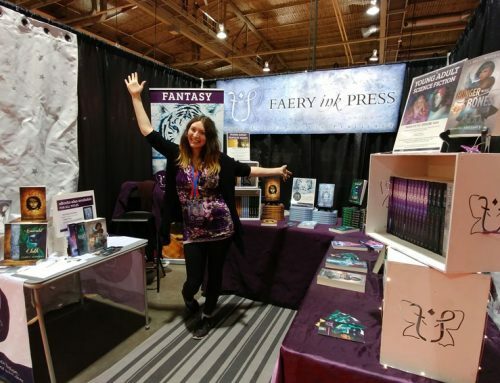 But I was small once too, I was in bad locations, less-than-stellar shows, I sold books even though I didn’t have any, and I’ve had people look at my booth, wrinkle their nose, and keep going. 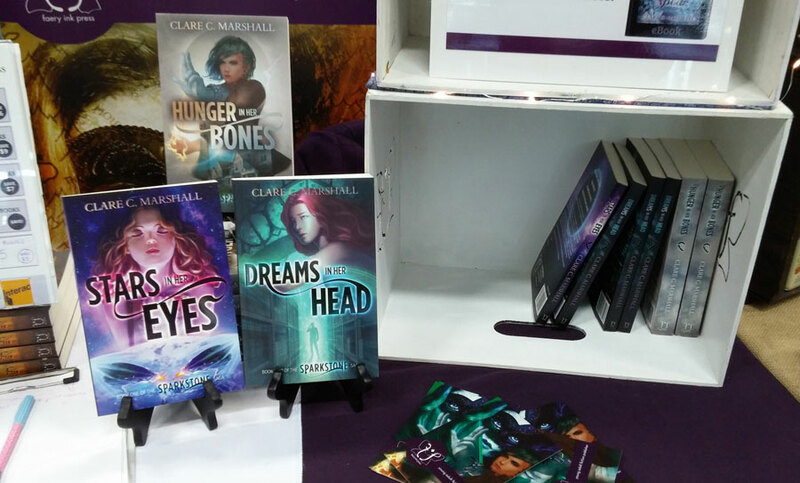 I’ve even had a woman say to my face they prefer another author’s books (who was at the show). And that’s okay. I’m there for the people who like my stuff and for the future customers who are yet to discover me. It’s not the audience’s fault if they don’t buy, and the show itself is often only one factor of many in why you didn’t reach your goals. As long as I can diagnose the problem and fix it, I continue on. If you’re asking me whether you should do the show again—only you can answer that. It’s your business, your dollar, your responsibility. You ultimately know the answer – you have to do what’s best for you. Onto my actual sales statistics! I had a 42% increase in sales this year. Since The Emerald Cloth is my new book, I brought far more of the Violet Fox Series, and “just enough” of the Sparkstone Saga. Well, just enough was barely enough! I sold out of Stars In Her Eyes on Sunday afternoon, and had three copies of Dreams In Her Head and Hunger In Her Bones left. 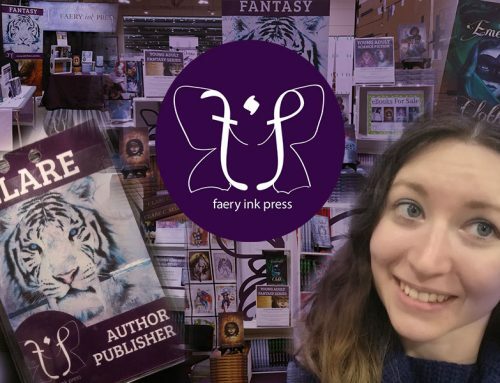 The Stars In Her Eyes reprints will arrive within the next two weeks—just in time for Hal-Con and my Christmas shows! I think people already have The Violet Fox and The Silver Spear as well, which is why I didn’t see my expected numbers for those titles. I’ve also altered my pitch a bit for the Sparkstone Saga—and as soon as I mention it’s set in Alberta, and they read the punchy backcover copy—they’re basically sold. That’s all that was left of the Sparkstone Saga stock by early Sunday afternoon. Edmonton now sits at third for overall sales for the year and first in average per-day sales. 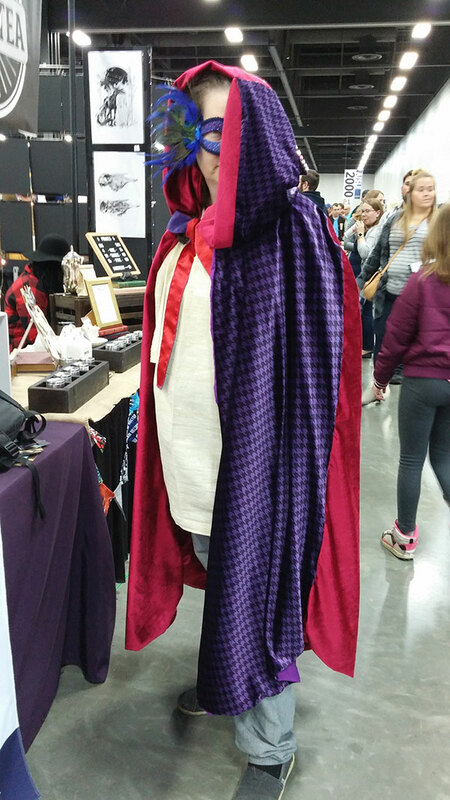 At Animethon, I had my very first cosplayer! She returned here to show me the progress on her Violet Fox costume! I stayed in an Airbnb once again with my friends! It was cramped quarters, but we made it work. I love staying with my friends! 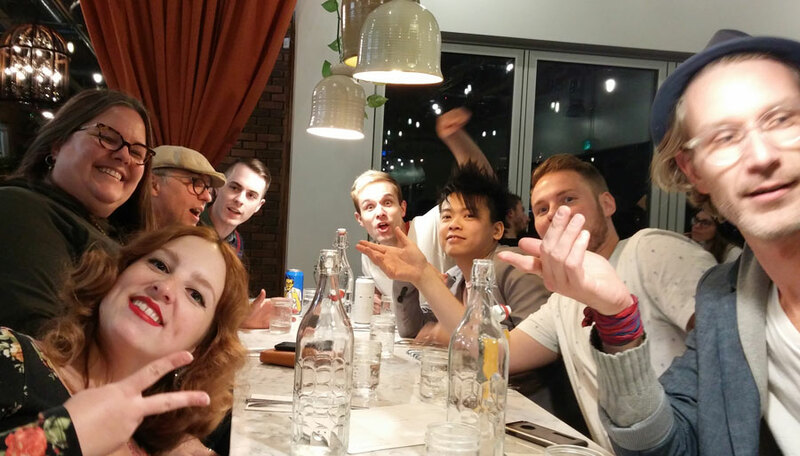 On Saturday evening, we went out to The Moth Café, a vegetarian/vegan restaurant with tons of gluten-free options. 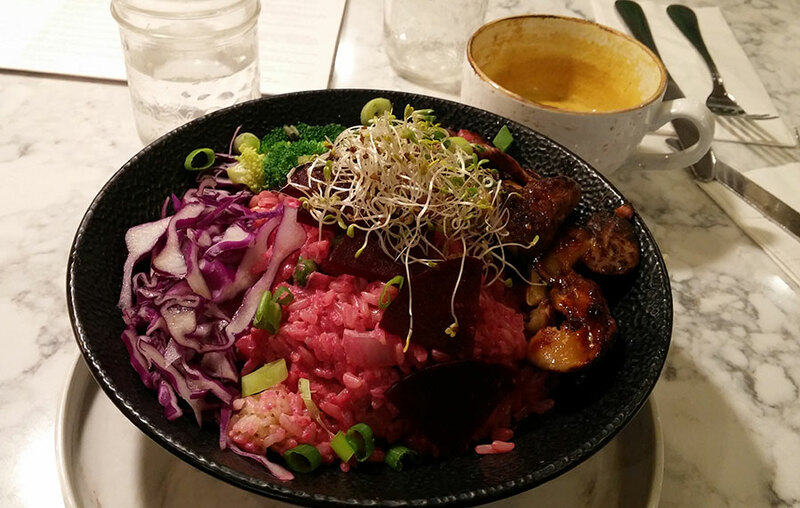 I had a purple risotto—very fitting—with caramelized mushrooms. I don’t even like mushrooms, but I liked these! Finished it off with a slice of raw GF vegan blueberry cheesecake—which was like eating creamed blueberries. I saved it for my breakfast on Sunday morning. One of my neighbours was Infinitea – three friends who make geek/nerd-inspired herbal teas! They were consistently busy the whole weekend, and boy was it great to be next to some nice smells. I loved their branding and their positive attitude. They only sell at conventions right now but they could easily scale it. I bought some of their teas and their reusable teabags. Allons-y! Everyone kept complaining about the “stick guy” – the person going around artist alley with an 8 ft pole, telling artists to lower their displays. This isn’t a problem I have because my display is less than 8 ft tall, but Informa has been cracking down on all artists this year in Toronto and now in Edmonton (and probably their other shows too? ), forcing the artists to lower their display heights. For the uninitiated: it’s common for artists to build tall print walls at shows. A print wall is a gridded display of all the artist’s prints for sale. This looks great and allows the customer choose what they like. Artists usually use photography backdrop frames and lots of tape to make this work. So when they are told to lower this display, they have to spend more time adjusting the height of the frame—an already finicky process! I was talking to one of my friends at their table when the stick guy came over and requested the display be lowered to conform with the regulations. I looked, and the display was maybe an inch too high. There was no leeway. Is this a fire safety issue? No one seemed to have a clear answer. 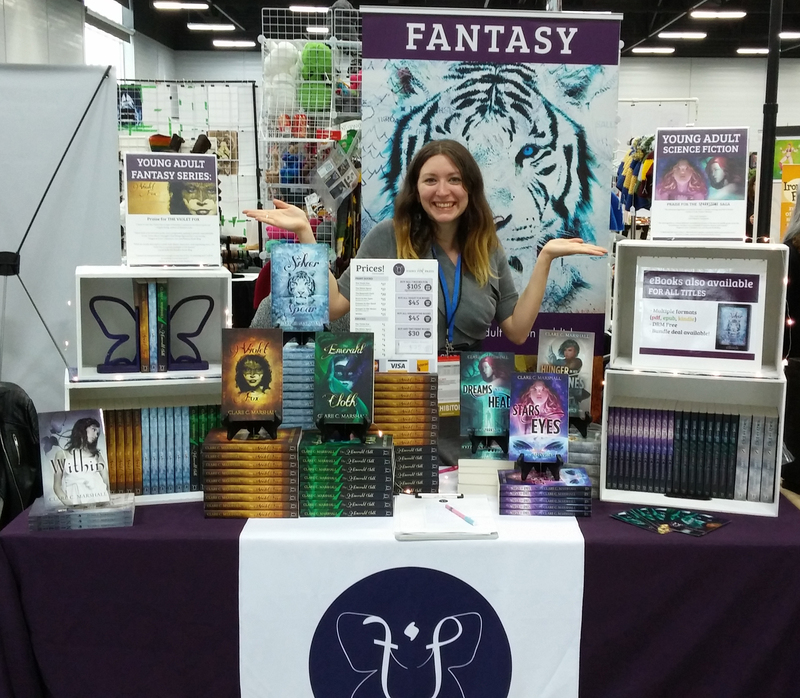 Someone overheard that it’s this one staff member who wants artist alley to “look cleaner” – even though vendor booths can build as high as they want. Sam was a creator guest at the con, and she put her 7 ft banner up on a chair, effectively making it at least 9 ft tall. Did the stick guy enforce the rules with her? Nope! So yeah. That’s just one peek into the wonderful world of selling your art. Conforming to and breaking seemingly arbitrary rules is part of the business. But break those rules at your own risk. I’ve already renewed! 🙂 Edmonton is one of my staple shows now, so I’ll do it for as long as conventions remain part of my distro/marketing strategy. Justin was saying he made the transition from contract work to full-time artwork when he realized he could make more by doing a few extra pieces for each show that he could in turn sell at every show, instead of creating art for someone else for a flat fee that he couldn’t resell. I ruminate on that now, knowing that the time is coming when I’ll have to make the jump too. Not yet, though. Jessie will be doing Hal-Con for me this year again (end of October), so the next show I’ll personally be running is the Festival of Crafts. I’m already stressed out and excited to make some display improvements for that show. The cape, which is the last thing to be finished, is coming along nicely – I have a pic, but not sure how to share it with you!